MOSCOW, February 8. /TASS/. 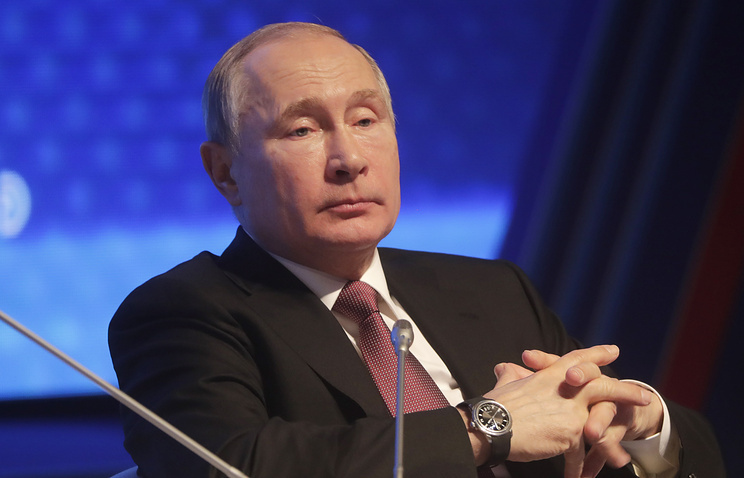 President Vladimir Putin has supported the idea of BP CEO Robert Dudley to hold a round table in Russia for the representatives of Russian and British businesses, Kremlin spokesperson Dmitry Peskov told reporters. The head of the state will also personally meet with the participants of this event, he added. "Dudley suggested that the President hold a round table involving British businessmen, heads of the British companies, which are operating on Russian market or otherwise related to the business in Russia," the Kremlin spokesperson said. "Dudley also suggested that the President meet personally with the participants of this round table. The President supported the idea and promised to do that," Peskov said. "Now, it is likely, that it will take some time to manage all this," he added. According to him, the meeting of between Putin and Dudley met on Thursday. Prospect for BP’s further operation on the Russian market were in focus of Putin’s meeting with Dudley on Thursday. According to Kremlin spokesman the meeting was "very meaningful." "The President noted that BP always enjoyed and will enjoy the support of the Russian authorities. The same approach is relevant for all foreign investors who, despite everything, continue to be here (in Russia) and consider various new mutually beneficial projects," the Kremlin representative said.